According to a new report from the CDC, infant health is declining in the United States. How can we reverse this trend? A new report indicates something alarming: According to recent data, birth outcomes in the United States may be declining. This finding comes from the National Center of Health Statistics at the Center for Disease Control and is based on data from 2016 births. The bad news? Preterm birth rates in the United States rose for the second year in a row—the rate is now up to nearly 10 percent. The low birthweight rate was also up for the second straight year and is now 8.16 percent. According to the March of Dimes, this is something we need to address: It's no secret that preterm birth can have devastating consequences, but the group believes that by investing in the health of mothers and their children, we may be able to reverse this trend. The March of Dimes stands by the idea that maternal benefits and universal access to quality prenatal care have the power to reduce these rates. The report indicates that preterm birth rates aren't equally distributed: Income, race and ethnicity are all factors that influence a woman's odds of giving birth before term, and that's not fair. 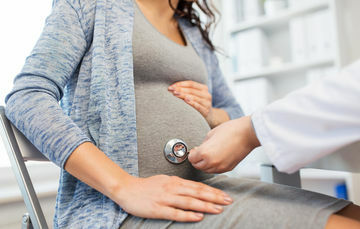 According to the March of Dimes, pregnant women can takes steps to reduce their odds of delivering before term: Not smoking through pregnancy, taking progesterone if you have a history or preterm birth, and spacing out pregnancies are just a few of the ways they can do this. Ultimately, women need access to proper medical care during pregnancy. Unfortunately, that's simply not a reality for all women at this point. The findings from The National Center for Health Statistics aren't all bad, though According to the data, teen birth rates are at an all-time-low, for example. But while this is reassuring, the report proves that where maternal care is concerned, we're still not quite where we ought to be.